Heine Brothers' Coffee, 4305 Shelbyville Rd. Small Business Saturday on November 28 is the perfect way to jump start your #hoLOUday shopping. Buy local and you could win a $1000 local shopping spree! A press conference will be held that day (remarks made at 10am) at Heine Brothers' Coffee, 4305 Shelbyville Rd. Mayor Fischer, Congressman Yarmuth and other VIPs will be in attendance to make remarks, help our sponsors give away swag, and show some local love by chalking the sidewalk. LIBA members throughout the city will be also be chalking their sidewalks with messages of the “Buy Local” campaign. 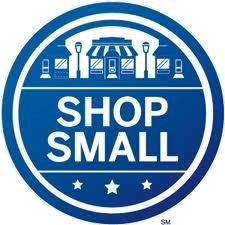 For more details on Small Business Saturday, created by American Express, click here. To find out more about how you can win a $1000 local shopping spree in the hoLOUdays Contest, click here. Join us at the Feeders Supply on Baxter Ave on Nov. 29 at 10am for a press conference with Mayor Fischer and Congressman Yarmuth. There will prizes, giveaways and activities for all!